The cell wall is a crucial structure found in almost all bacteria. It is the target for our best antibiotics and fragments of the wall trigger powerful innate immune responses against infection. Surprisingly, many bacteria can switch almost effortlessly into a cell wall deficient “L-form” state. These cells become completely resistant to many antibiotics and may be able to pass under the radar screen of our immune systems. 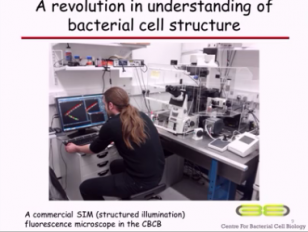 In this lecture, Professor Errington discussed how studies of L-forms have provided surprising insights into various aspects of bacterial cell physiology and biochemistry, as well as a model illuminating how the earliest true cells on the planet might have proliferated.